Video interviews, panel discussions, articles and Q&As featuring lead generation. Within the $140+ billion insurance industry, pet insurance’s share may seem paltry at $500 million. But the riches are often in the niches. That’s what PetPremium.com is banking on. Started as a lead-generation website for insurance companies, PetPremium.com quickly morphed into a licensed insurance agency selling policies directly to U.S. consumers and earning more per customer than a mere lead-generation website can. 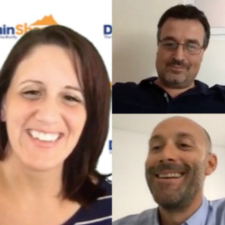 In this interview, you will learn how the company launched, made the transition to issuing policies and recovered from mistakes made along the way, as well as useful information about conversion rates, the monetary value of leads in the insurance industry and more. If you own a domain name, getting the highest offer possible generally requires waiting for a potential end user of that domain name to contact you. In some cases, you may be waiting years, or you may never hear from the perfect end user. The alternative to waiting is to proactively reach out to potential buyers who may be interested in purchasing the domain name. While it may not maximize your sales price, it could produce a sale and cash flow for your business or investment. In this tutorial, you will learn how to use the Estibot Domain Lead Generator & End-User Finder Tools to find and contact potential end users. Also included in this tutorial are the real results from trying to sell four domain names to potential buyers using the Estibot tools. How do you maximize the revenue you can generate from a website using lead generation and no Google AdSense? That’s the question answered in this interview focused on the insurance, home security and new-car buying industries. Also discussed is the development of BestQuotes.com, AutoComparison.com and PetPremium.com, including business results (the good and the bad) and lessons learned along the way. What lead generation companies buy customer leads if I develop my generic, exact match domain name? This articles answers that question by providing a list of lead generation companies that currently own and operate lead generation websites. How do you build a successful lead generation business to help the growing aging population in the United States? Chris Rodde shares how he and his two co-founders, Jay Goldstein and Tom Blumer – who were all well versed in lead generation – took an idea and built it into a business that now generates millions in revenue. Some people complain that if you did not buy domains in the mid-1990s you missed the window of opportunity. But what if you could hand register 12,450 domain names today for $7.87 each and build a million-dollar business? Adam Hawley, president of Zipsurance.com, did exactly that. By leasing insurance-related domain names and providing associated services, Hawley connects insurance agents to clients and is on track to bring in more than $1 million in sales in 2012. Most small and medium businesses would be thrilled to be listed even once in the top 10 organic search results on Google for a keyword phrase that describes their business. But what if you could rank in six of the top 10 positions? Christian Walter, the chief technology officer of NowYo.com, has helped a small landscape design firm in Cincinnati do just that. The firm ranks in positions 1, 2, 5, 7, 8 and 10 of the top 10 positions for “Cincinnati hardscaping structures,” as well as many other search phrases. In today’s show, Walter shares the secret to achieving these results.